The conclusion of my Riley Parra posts in honor of the LGBT+ Storybundle! For as little as a dollar per book, you can get stories about people who just happen to be gay going about their lives! Check it out! One big question I’ve gotten is the difference between the books and the series. How much will change, how much will be the same, etc. There’s a scene in one of the early stories where Riley and crew are trapped in an old firehouse. Riley jumps in the old fire truck and drives it through the closed garage door to escape. I’m not saying Tello can’t do this, I just feel there are much better things they could spend that money on. So that story might one day get adapted to screen, I highly doubt I will write “Riley crashes through a garage door in an antique fire truck” in any scripts. The second story has a crime scene on an elevated train, and I don’t think LA even has one of those. So I knew going in there would have to be changes. Some big, some small, some cosmetic. In the books, Riley and Gillian have worked together for a while before they start dating. In the series, Gillian is new to the department. A character who was slated for death in a future installment got a new lease on life when I saw who had been cast. And the character of Caitlin Priest, who sadly doesn’t appear in the first season from Tello, will hopefully have the widest casting net of any character. No ethnicity required, no reason she has to be played by anyone cisgendered. If she ends up being played by a white blonde woman, that will be fine! It will be following the source material. But I don’t want the casting to be restricted to that very narrow group. I was lucky enough to design Riley as a series from the very beginning. Instead of trying to trim a 500+ page book into a single narrative, I was able to use the first story. It still required an awful lot of gymnastics to get it all in there. You think you have all the time in the world and suddenly there’s five minutes of show time left and you haven’t introduced your villain yet. It’s a strange thing to translate a book into a new medium. I’ve already translate it once – from idea to page – and now I’m taking it another step and bringing it to life. There were adjustments made on the first step, things I did differently than I thought and plot turns I didn’t see coming. The same goes for this next step. I’m getting a chance to retell the story from the beginning with the benefit of knowing exactly how it all played out once. It’s exciting and fun to play with the world and know I don’t have to follow the blueprint exactly. There’s also the balance for the fans. People who read the books are going to want to see the characters they love brought to life, but at the same time, they don’t want to see a step-by-step performance. You have to find a way to tell the same story without boring them because they know everything that’s happening. You also don’t want to go so far off the track that it’s unrecognizable. Elements of the book will cross over directly. Other things will be changed for plot and realistic concerns (Riley’s guardian angel won’t be revealed by stopping a runaway train with her bare hands). As I said earlier, one character who died is going to be sticking around a lot longer on the show (knock on wood there’s a “longer” for the show!). But at its heart, the important things will stay the same. This is still the same Riley Parra who was in the books. Her love for Gillian is stronger than anything. Other characters – Kenzie Crowe, Chelsea Stanton, Radio, Aissa Good – are waiting in the wings should we get enough seasons to bring them in, but their introductions will likely be different than the book. Basically it all comes down to the story and the characters. If you’ve never read Riley Parra, you can watch the show and understand everything that’s happening. If you read the book, you’ll recognize all your favorite characters and, while they might take you unexpected places, you’ll still end up in the same general place when all is said and done. Hopefully the journey will be just as amazing for both sides of the audience. As promised, part two of my Riley Parra post in honor of the LGBT+ Storybundle! I decided to end the Riley books after “Season Five” for a very practical reason: I wanted to give the characters an ending. More than that, I wanted to let them rest and have a happily-ever-after or at least a happily-for-now. They went through so much during the books (a couple of them even died (don’t worry, most of them got better)) that I wanted to end one book with happiness and hope. So I wrapped up their story and told myself one day I might revisit it. Then, the first year I didn’t have a Riley Parra book on my schedule, one of my friends (Lisa Yimm!) told me about Tello Films. She suggested I pitch to them. This was around the point where I decided the worst anyone can do is say no, so I put together a pitch and sent it off. Christin Baker, the CEO of Tello, had her ears perk up and spent some time feeling me out before she committed to anything. She asked me about the characters, the fanbase, everything she needed to decide if it was worth her time and effort. I must have said something that she liked, because before long, we were putting it together. Christin has been the absolute best… I don’t want to say partner, because that implies I participated as much as she did. I created the world and wrote the script, which is admittedly hard work. But that’s like saying I loaded the cart and then Christin strapped it to her back and carried it uphill. She’s said a couple of times that Riley has taken a long time to get rolling and it has, but she never let me feel like it had been forgotten. I know that entire time, it was on her mind. Every phone conversation we had, I could tell she was as excited about this world and these characters as I was. Maybe even more. And I think there’s never been a better time for a hero like Riley Parra. My part of the process was minimal. I adapted the story into script form and rewrote it as-needed, following Christin’s guidance. We tossed it back and forth a few times, she made adjustments and I made adjustments, until we finally had what they used for shooting. And it still wasn’t entirely final. Once Liz Vassey was cast, she got a chance to punch the script up a little (and if we had a multiple-episode season, you can bet I’d be begging Liz or Marem to write an episode or two per season). But beyond that, I was very uninvolved. Mostly by choice, partially due to the fact I just wasn’t there to be part of the process. I’m in Oklahoma, they’re in Los Angeles, and I trusted them to steer the ship. The “by choice” part is because I didn’t want to get in Tello’s way. I wanted a mainly-female team working on the actual show so that it wouldn’t be overly male. I wanted a female director and Christin is one of the best I could’ve asked for. First Assistant Director Shannan Leigh Reeve is a superhero and I wouldn’t be surprised if you told me she doesn’t sleep. They’re a dream team, and I’m so lucky to have them bringing my world to life. And speaking of bringing my world to life… the actors. I’m blown away by the people Tello found for this show. Maeve Quinlan, from the first lesbian webseries I ever watched (3Way) and one of the most influential lesbian series ever, South of Nowhere plays Riley’s boss. Connor Trinneer, who was the villain Michael on Stargate Atlantis, one of my favorite shows ever, is the angel who introduces Riley to the war. And Liz Vassey. LIZ VASSEY. I’ve been a fan of her for so long that I pinch myself sometimes when I think about her playing one of my characters. It’s unbelievable and such an honor. Marem Hassler plays Riley Parra. I have a habit of casting the characters in my novels. Every major character gets cast. But I couldn’t pin down Riley, not in five years of writing her. I had a general idea of her, but there didn’t seem to be any actors who fit the bill. Christin and I talked about at least two other actors, both of whom I thought might maybe be okay. I could see them working out. But then Marem Hassler was cast. I saw her in the table read, and from the very first line, she was Riley. She was the Riley I saw in my head. She’s the Riley I’d been trying to find from the beginning. And there she was, sitting at a table, reading my lines, introducing herself as “Riley Parra,” and it was like a piece of my brain had come to life. The show is so lucky to have Marem at the lead, and the fact Christin found her only solidifies my belief that she’s the right captain for this ship. My next post is going to be about adapting the story to script form, changing a 50,000 word story into an hour-ish of television. Until then, be sure to check out the Storybundle! Share and retweet! It’s Pride Month! And as part of that, Storybundle has a lovely group of books dedicated to queer heroes of all stripes. LGBTQ+ heroes, saving the day, kicking down the notion that a gay character requires a tragedy to be in a book. I’m extraordinarily honored to be part of this collection with my books Riley Parra Season One and Trafalgar & Boone in the Drowned Necropolis. You can get the bundle here, and read all about the other authors in this collection. I’m especially thrilled so many people are going to be introduced to Riley Parra through this bundle, so I thought I would talk a little about her origins and how she went from a character without a story to a real-life webseries. The day after Valentine’s Day 2009, I started a story. I didn’t know what it would be, but I had a few things I wanted to include in it. I wanted to write about a detective, a homicide detective who fell in love with a medical examiner (I should note this was before Rizzoli & Isles began its tedious game of toying with lesbian fans… the true inspiration was Beckett and Lainie on Castle). I knew I wanted the cop to be named Riley because that name hadn’t been leaving me alone for a while but none of my characters felt worthy of it. Riley needed to be a tough, no-nonsense, lead character. She needed something epic, and I didn’t have anything epic. Josh Ritter helped inspire what Riley would eventually become. His song “Wings” is a dark, brooding story about a man and woman on the run through Idaho. The last verse heavily inspired how the first Riley story would end: “At last we saw some people, huddled up against the rain that was descending like railroad spikes and hammers. They were heading for the border, walking and then running, and then they were gone into the fog but Anne said underneath their jackets, she saw wings.” I saw Riley Parra, police detective, noticing two men watching her. And when they walk away, they have wings tucked under their coats. The other song, “Thin Blue Flame,” is a ten minute epic about the state of the country and the world, an almost nihilistic song that builds from quiet contemplation to rage at everything the narrator sees in the world… but it ends with a quiet verse in which he realizes that the Heaven he thought was lost was right in front of him: “Angels everywhere were in my midst, in the ones that I loved and the ones that I kissed.” That was who I wanted Riley to be. She sees the darkest, most awful things. She knows things are even darker than most people knows, and she’s the only one fighting back. But she has love. She has someone who supports her and takes care of her and who is strong enough to catch her when she falls. So in a way, I didn’t have Riley Parra at all until Riley had Gillian Hunt. Then the pieces all started to fall into place. My readers were intrigued by Riley and her world, and I loved writing her, but I had a problem. I wanted to write as many stories as possible, but I also wanted to write other things (Riley’s world was too dark to set up a permanent residence in). I didn’t want people to think I had abandoned the series when I moved on to other things. I decided that each short story would be an “episode” and ten stories (give or take) would make up a season. This was at a point where I had two novels out, no GCLS Award, just one author in my publishing company’s big pond, so I had no believe this would even get published. I just thought it would be a fun little writing project, and presenting it as a series would make it more fun for the readers. Little did I know where it would lead! I certainly imagined the possibility that maybe someday it might turn into something more, but those were just dreams. Shoot-for-the-moon fantasies. The first Riley Parra novel was released by Supposed Crimes, my second and current publisher, in 2011. There were five books, five seasons, and when it ended I thought that would be it. The first year I didn’t have a Riley Parra novel on my schedule was the year I crossed paths with Christin Baker and Tello Films, which will be the focus of my next blog post! “The Cabot Girls of Coventry Island” – Summary and Cover Reveal! 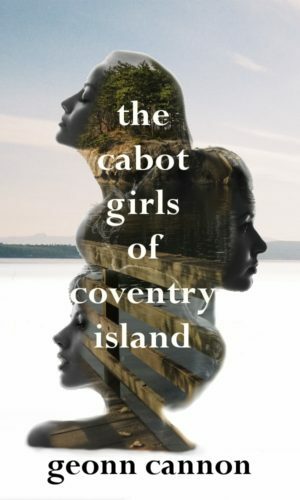 My December release The Cabot Girls of Coventry Island finally has a cover and summary! “There have always been Cabot girls on Coventry Island. Located off the Washington coast, the tiny island is a source of incredible magic. Women in the Cabot family are entrusted with protecting it from being abused by the outside world. Twins Reese and May, along with their older sister Winnie, are the current custodians and use their connection with the island to the betterment of its inhabitants. Winnie owns a bakery where she imbues her creations with positive energy. Reese and May have a thrift shop where repurposed items are blessed and passed on to the owners they were always meant to have. The sisters have a close connection, still living together in the same house where they grew up. But once their impenetrable bond was nearly shattered by a woman named Jessica Vaughn. She very nearly succeeded but, in the end, the sisters were able to overcome her manipulations and exiled her from the island once and for all. Or so they thought. Jessica has come back, determined to stay, and she has big plans for the island, plans that run contrary to the quaint and quiet life the Cabots have vowed to protect. This time she has an ally who could turn the tide. The tight-knit sisters will discover their family has been harboring certain unforgivable secrets. An Actual Radiation Canary song! One of the downsides to writing a book about musicians, and one reason I wasn’t sure I wanted to, was the fact you would never actually hear what the band sounds like. I could describe it, you could imagine it, but I personally really wanted to HEAR the songs I was writing about. There were readers who said the only thing they didn’t like about the book was that they’d never get to hear Radiation Canary, and I thought that was a shame as well. When Britt Kusserow bought a copy of the book, I joked privately to our mutual friend Kate that maybe she’d decide to record one of the songs for real. It wasn’t any time at all before Britt came back and asked if I would mind if she “messed around” with a song from the book. Mind?! Mess around?! PLEASE DO. So I gave her permission to do whatever the heck she wanted. The result was this beautiful and amazing version of Radiation Canary’s biggest hit, “Say a Prayer (If You’ve Got One).” This is a song I wrote, but it’s like… a real song! How cool is that? She has her own music to work on (links on the video! Go support her, how ’bout it?) but I wouldn’t protest very hard if she wanted to do a whole album of Canary covers. Today is not only book-release day (Breaking Anchor, now available in paperback and ebook editions!) but it’s a cover reveal day! For the past two or so years, I’ve been posting one story per month to Patreon. I love all my patrons and I’ve loved sharing these stories with them, but some of the stories I feel should have a larger audience. 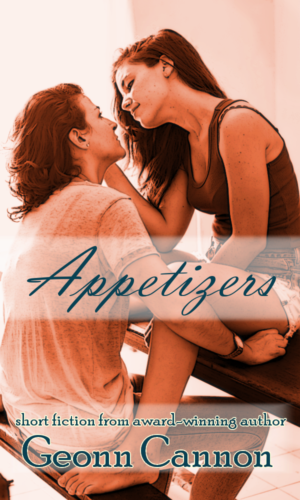 So for the folks who don’t want to deal with a monthly subscription, I’m releasing some of my favorites in a collection called Appetizers. And here’s the cover! Patreon subscribers will of course get a copy of the ebook for free. They’ve already paid for the stories once, no need to pay again. 😀 And these aren’t all the stories I’ve posted there, just some of my favorites. It includes a story that serves as a sort-of prequel to Breaking Anchor, showing an episode of Sofia Kennedy’s life long before she crossed paths with Marion Vogt. We don’t have a release date yet, but rest assured as soon as it’s scheduled I’ll let everyone know! This isn’t the thing I want to blog about today. Hopefully that will happen later. But this is just an observation about something that I wanted to share to the world at large (or the world that wanders across my blog) and an attempt to increase the number of people who come across my blog. This is also in honor of Bowie’s death which was almost exactly one year ago. RIP Starman. The song is about the narrator’s depression and melancholy (which is one reason I like the newer version better… Bowie just sounds like someone who has been through hell because… well, he has. The other song is “Algeria Touchshriek,” from the 1995 album Outside. This is a weird album, and the songs all have connective tissue between them. But this one in particular feels like it ties back the “Conversation Piece” from the point of view of the Austrian who owns the grocer’s store. The re-use of the word ‘broken’ and ‘conversation,’ the idea that “Mr Walloff Domburg” is a “reject” fits with the original song’s narrator saying ‘my essays lying scattered on the floor/fulfill their needs just by being there.” No one thinks about him, no one knows him, no one will remember him. He’s a broken man. And the idea that his grocer is another broken man who is just trying to reach out and maybe give him some peace just makes it even sadder when the narrator just walks away. Anyway! This has been a pointless exercise in analyzing two songs by one of the greatest songwriters ever. And if this makes you check out either album or just the songs, then I’ll consider it time well spent.